The number of totally unvaccinated children under age two in the U.S. has quadrupled from 0.3 percent to 1.3 percent since 2001, according to federal health data published Thursday. More than 1 percent of children born in 2015 “had not received any of the recommended vaccinations” against dangerous diseases like whooping cough and measles, according to a CDC analysis of a national 2017 immunization survey cited by the Washington Post. That represents an uptick from 0.9 percent of 19- to 35-month-olds in 2011 and less than half a percent in 2001. Doctors advise vaccinating young children against 14 serious illnesses in total, but roughly 100,000 U.S. children have received no protection against any of them, estimated CDC senior adviser for vaccines Amanda Cohn, according to WaPo. The trend not only puts children at risk, but it also jeopardizes entire communities. For example, a Somali American immigrant community in Minnesota “suffered the state’s worst measles outbreak in decades” in 2017 after activists spread anti-vaccine “misinformation,” according to WaPo. Anti-vaxxers are having outsized effects in pockets of the U.S. An alternative school in Cave Junction, Oregon, has lower toddler vaccination rates than Venezuela’s — roughly 50 percent compared to nearly 60 percent, reported PBS News Hour. Thursday’s data revealed that uninsured children were least likely to be vaccinated in 2017. 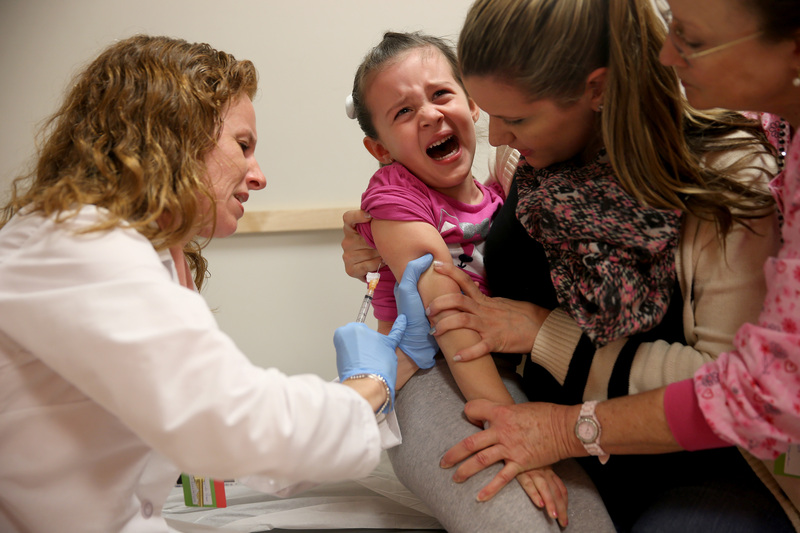 Seven percent of uninsured children between 19 and 35 months were not vaccinated “compared with 0.8 percent of privately insured children and 1 percent of those covered by Medicaid,” according to WaPo. Most states let families opt-out of immunizations required by schools if the parents have religious or philosophical objections, according to WaPo.